Celtic restored their lead at the top of the Scottish Premiership on Saturday to 10 points with a 3-0 victory over Inverness Caledonian Thistle. Despite the Hoops consistency in the league this season, Thistle have been the only team to take points off them, a 2-2 draw in September. Under Brendan Rodgers, Celtic continue to make progress whilst dominating their domestic opponents. And at the current rate of improvement, Celtic could be looking at huge gap between first and second come the end of this season. When Caley Thistle are in the other corner, you can expect a tough challenge though. They punch well above their weight for the size of club and they never seem impaired by their own league position when playing the Champions. Thistle weren’t exactly oozing class at Celtic Park right enough. They were certainly playing a physical game though. You can argue that they went about playing that way to disrupt Celtic’s flow, but that’s when you rely on the referee doing his job. 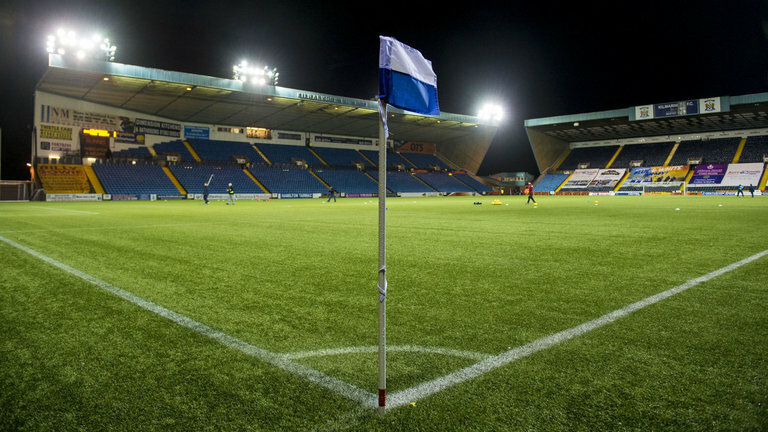 However, this is Scottish football and you could turn blue holding your breath waiting for that to happen. It took a long time for the match official to book Greg Tansey who had been at it all game. In the end he would see red and deservedly so. Celtic continued to make strides, adjusting their personnel when required. Leigh Griffiths got a rare start and scored into the bargain, but not before Scott Sinclair scored his 9th league goal of the season. Tom Rogic capped off a victory with the third after coming off the bench. All of the goals came in the second half with Rodgers’ game plan being disrupted by the injury to Mikael Lustig. The Swedish defender went off early in the first half after taking a knock on the ankle. On came Emilio Izaguirre to left back and Stuart Armstrong dropped into right back with the Bhoys shifting from three to four in defence. As unconventional as this was, Armstrong didn’t shirk his duties. In fact he imposed himself in attack as much as defence, playing a wing back role which drew a comparison from his manager to the ex-Brazilian star, Cafu. I’m not so sure I’d have gone as far to say that, but Armstrong was brilliant against Thistle and he continues to make a steady impact for Rodgers. Despite being faced with an early injury, a forced tactical change, a player out of position and a tough tackling opponent, Celtic brought home a solid victory. 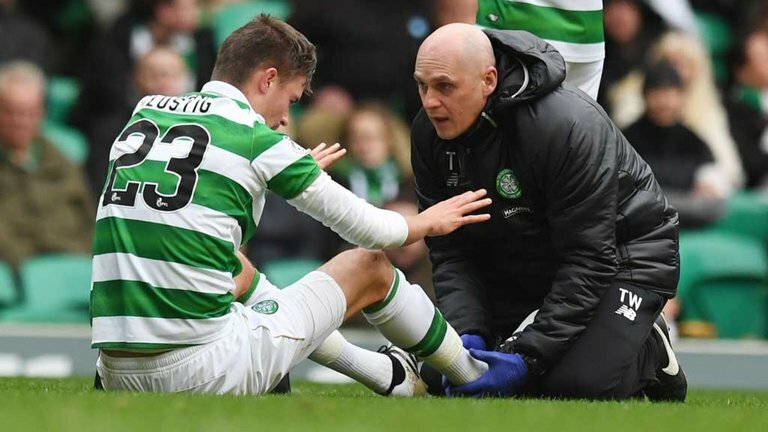 Going into the international break on a high is always good, but with injuries to Scott Brown and Mikael Lustig there was immediate concern. Brown is said to be fine and still in contention for Scotland duty but Lustig is out for Sweden. The Swede has dealt with injuries well this last year so Rodgers will be hoping to have him back for the next match against Kilmarnock. At the very least, back in time for face Barcelona. 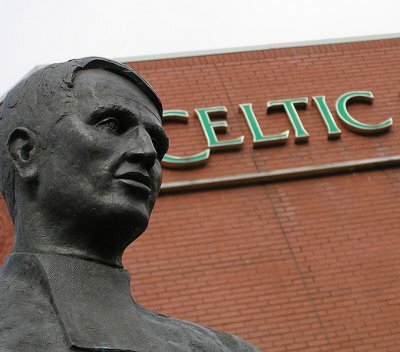 On Sunday, Celtic celebrated 129 years since they were founded. The date relates to the meeting that took place in St Mary’s church hall in Calton, Glasgow on that day in 1887. This was the beginning of Celtic Football Club and as far back as I can remember, I have always created my own mental image of that meeting. So important was this meeting that when at school, some friends would speak proudly of their ties to the church, the school, the street or even the area. My parents were both from Calton, went to St Mary’s school and regularly attended the church in their youth, but they rarely talked about this moment in Celtic’s history. I guess when you’ve grown up there, you don’t have to talk about it because you are already part of it. Still, for me this was always a proud association with the area and still is today. Calton may be a different place these days, but my routes from both sides of the family are steeped in this area just as they are for many other families in the Celtic community. All Celtic families though, regardless of where they are from originally, can ponder about that meeting all those years ago in that church hall and what effect it has had on their lives today. It has changed all of our lives for sure. Happy Birthday Celtic Football Club. It appears that the gap between Celtic and Borussia Mönchengladbach is not as big as we first thought. Celtic played at Borussia Park on Tuesday and earned a draw against the German side, but the Hoops almost won it. After taking the lead through Lars Stindl on 32 minutes, it looked as though Celtic might be facing a second defeat by Gladbach. However, the performance either side of this opening goal by Celtic was far better than the one they put in at Celtic Park. That wouldn’t be difficult of course because they never turned up at home two weeks ago anyway. What is more commendable though is that Celtic were vastly weakened going into this match, the odds were stacked against them (aren’t they always?) and going in at half-time a goal down you might just think another goal would finish the match. Celtic had other ideas though and played some good football throughout the game. Scott Sinclair had already hit the upright before going a goal down to the Germans and there was still fight in Celtic. Gladbach also hit the woodwork and both keepers were drawn into action, but it was Celtic who showed greater character in the second half. Away from home and a goal behind, Moussa Dembele won and scored a penalty with the resultant offender red carded. Celtic smelled blood and were trying to win it as well. Nobody will be more disappointed than Callum McGregor at failing to hit the target after being one-on-one with the goalkeeper in the closing stages of the game. On another day, I’m pretty sure McGregor would have tucked it away. It wasn’t to be and so the task remains tall with one win required at the very least to even have a chance of qualifying. When the group was drawn, we all knew it would be tough and that the best we could hope for would be third place. After four roller coaster games Celtic are still in it, however unlikely it may seem that Brendan Rodgers will be playing European football after Christmas this season. As I said at the beginning though, perhaps the gap isn’t as big as we thought. Rodgers mentioned ‘time’ in his post match interview as the requirement to make progress and not ‘investment’ as the BT Sport interviewer did. I found that encouraging because it calmed the nonsense that usually arises from the post match analysis after these European fixtures. Speaking of which, look no further than Tottenham Hotspur as an example. Last night they slumped to a 0-1 defeat at home to another mid-table Bundesliga side, Bayer Leverkusen. I’ve commented previously about the gulf in finance between Celtic and many other European clubs, but Spurs are not short of cash. In fact like Celtic they are run pretty well financially. The difference is they can spend like most high-end European clubs can because of the income generated in English football. Like Gladbach, Leverkusen sit mid-table but they showed away from home that they can get a result. So perhaps Celtic aren’t as far out of things as we think when you compare the Spurs v Leverkusen result. If Brendan needs time to close that gap then he has it. I’m sure Celtic will invest what they can, but the response in Germany was very encouraging and the Bhoys were desperately unlucky not to get the win. I guess all Celtic need to do is beat Manchester City or Barcelona (or both) and we’re in the Europe after Christmas eh? Sounds like a challenge. Celtic go into tonight’s Champions League match with three important domestic wins behind them. Those results have seen Brendan Rodgers’ side into the League Cup Final as well as extending their lead at the top of the Scottish Premiership to nine points with one game at hand. On the European front though it has been a mixture of fortunes for the Hoops in Group C. A heavy defeat in their opening match against Barcelona, a heroic score draw at home to Manchester City and a disappointing defeat whilst hosting Borussia Mönchengladbach on matchday 3. This evening, Celtic face Borussia Mönchengladbach once more and despite the inconsistent domestic form of the Germans, they have proven to be a more the more effective side head-to-head with the Hoops. After beating the Bhoys 0-2 at Celtic Park, ‘Gladbach will be looking for a similar, if not better result at Borussia Park. Since the Celtic Park game, they go into this game with one win, one draw and one defeat from their domestic matches. Now the onus is on Celtic to get something out of this match or you would feel this would be the end of their European hopes. There is nothing to say that Celtic can’t fair better in Germany than they did at Celtic Park. Even though the Germans were better organised and effective on the ball, I didn’t think Celtic played to their best on that night. However, Celtic are without a back up striker in Leigh Griffiths, a left back in Kieran Tierney and two centre backs in Kolo Toure and Jozo Simunovic. When you are stepping into a win or bust game then this isn’t the ideal situation. Mikael Lustig could step into central defence alongside Erik Sviatchenko, but that would mean playing Cristian Gamboa at right back. That would be a gamble and he’s had about as much match time as Emilio Izaguirre who will step into the left back berth. Eoghan O’Connell could play in at centre back, but he is in the same boat as the two back up full backs in that he hasn’t kicked a ball for much of the season. It will be a big ask whoever steps into this match for Celtic. 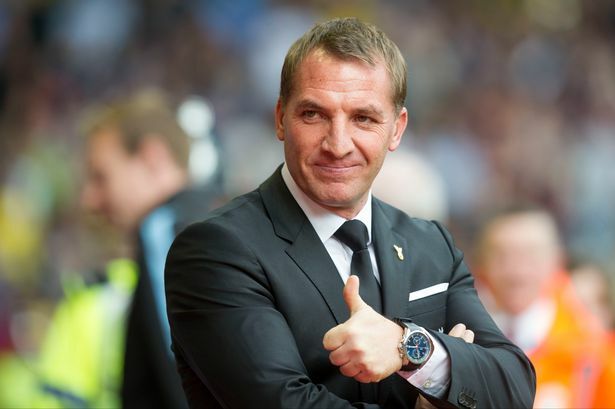 With the odds now firmly stacked against Brendan Rodgers, particularly in this game, there is nothing to lose. He may as well just go for it and give Mönchengladbach a run for their money if he can. Third place was the only realistic target and the German side are the team who stand in Celtic’s way. Beating them in Germany is the only way Rodgers will have any chance of seeing Celtic in Europe after Christmas. I wasn’t expecting miracles from Celtic this season in Europe. The most important thing was getting into the Champions League after a two year absence and we got their. I’d be happy if Celtic went for the jugular tonight and got beat. At least we will have had a go unlike the match at Celtic Park. Whatever happens this evening, it can be built upon for next season.